On Mother's Day, I went to the art festival at Laumeier Sculpture Park in Southwest St Louis County. 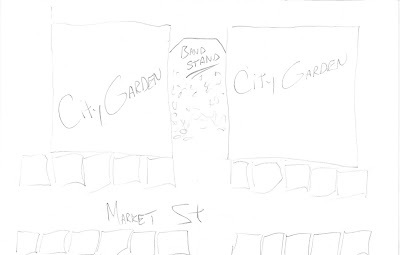 Since I'd just hung out for a while in CityGarden the day before, it was hard not to draw comparisons and think about the possibility of an even better event being held adjacent to CityGarden in Downtown St Louis. As you can see from my drawing, I've never been an artist, but for whatever reason, the sculptures at Laumeier have never really registered with me. Being the only sculpture park I'd ever been to growing up, it just made sense that I wasn't capable of appreciating art. Fast forward a few decades, and here comes CityGarden. 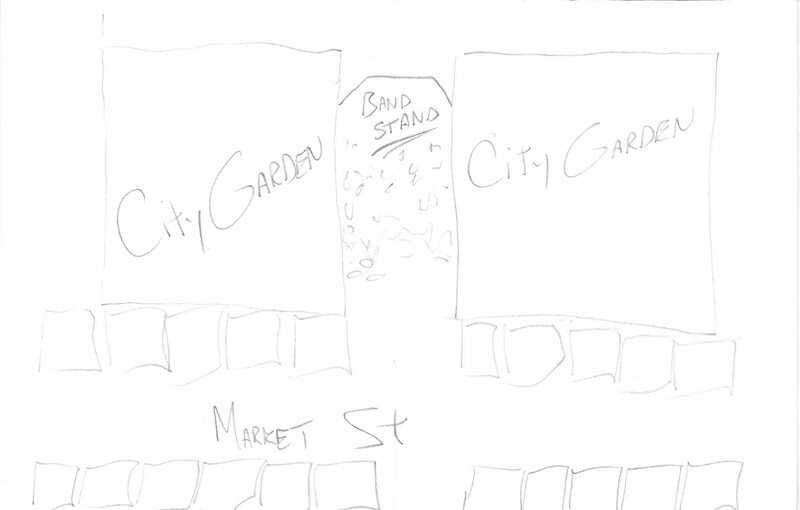 The drawing shows the general idea I was having at the art festival for Downtown's version of the event. Close of Market Street and line the vendors up along the sidewalks. Depending up on the size, they could run all the way down the Gateway Mall, Kiener Plaza and CityGarden. Music could be right in the middle of CityGarden. Just a thought. Its no suprise to me that CityGarden won the Urban Land Institute Competition as announced today. Not only are the sculptures interesting and inspiring, but the entire landscape is inviting captivating. I'd have been more suprised had it not won. Congratulations to the City of St Louis and the Gateway Foundation on this shared achievement!